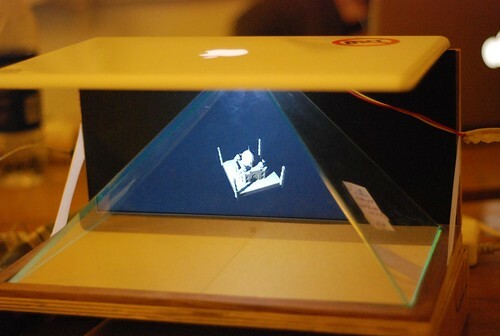 3d holographic display prototype 1 – video !! 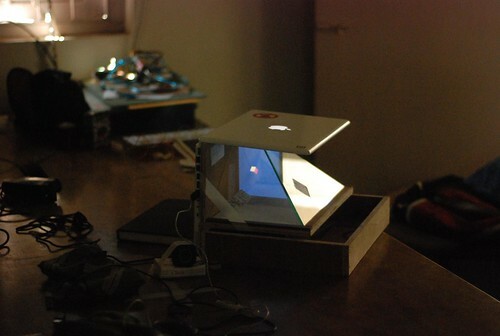 3d holographic display prototype 1 !! 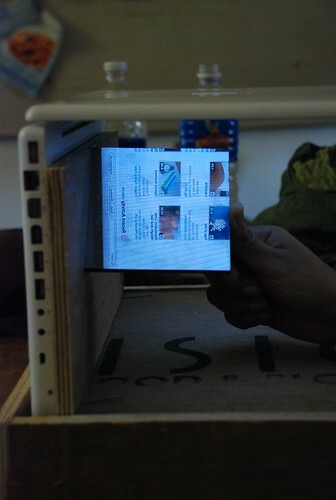 here is the first version prototype of 3d holographic display. 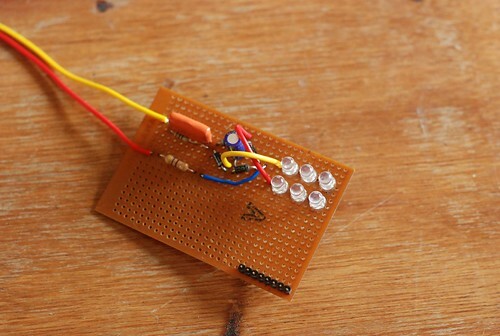 there are many things to be improved still, but it is working and i have figured out all small bits and peaces. now it is just question of finding some budget and making it professional. crucial part for success is the glass, precision in production, screen quality, and exact placement of each elements. it was a challenge to figure out the correct optical alignment. i have used 3d studio max for making animations. for static display, you will have to use 3 videos captured from 3 different sides. but for animated or rotated animations, you could get away with only one video displayed on 3 sides, and no one will be able to notice it. 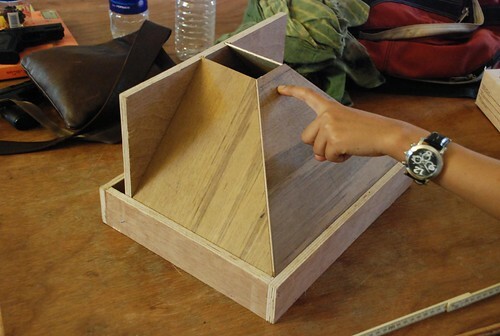 i have used autocad drawing for alignment of screen and glass pyramid, this is a tricky part. this was a base drawing on which i used processing to load and play videos and align them accordingly. BOOM, it is working !!! building 3d holographic video display!! since a long time i wanted to built this one. i saw a prototype built by realfiction.com at NEXT exhibition and i loved it. 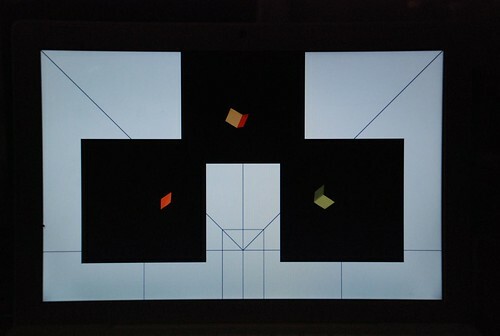 a very simple technique, LCD screen mounted on the top, three sides of two way mirrors at 45 degree angle – reflecting the video displayed on the screen. originally it is a illusion technique used by magicians called pepper’s ghost effect. 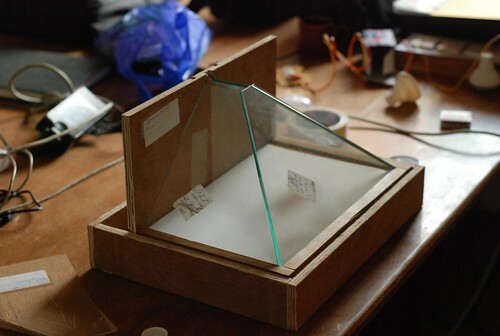 right now i am building a small scale prototype to work with my macbook, using clear two way mirror glass or reflective clear glass. the key factor here is glass only, there are several kinds available, with tint and with various reflection values. choose the one with is almost clear and lower reflection value.